It’s been a busy year since AVEA was established in September 2017. Our next business calendar year commences in September 2018, so by joining now you can participate in the events we are planning for the Autumn with our first Forum meeting of the membership year taking place in October. Here’s a snapshot of the Association’s achievements during our first year of business! Members are the lifeblood of the Association and to have 76 active members on board in our inaugural year demonstrates the appetite that exists for AVEA and a sectoral representation body. We are proud of this achievement and the mix of members in type and scale has been a winning formula in shaping our strategy for the future. 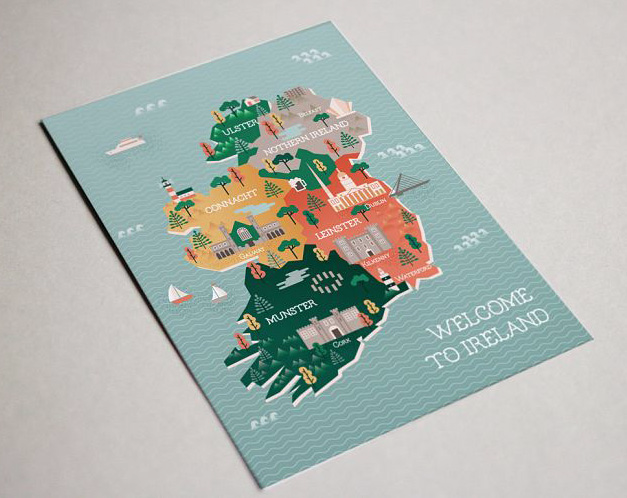 We are an all-island representative Association, one of the few that exist in Irish Tourism. Growing the Association and its ability to influence change and deliver meaningful outcomes for members and their businesses is key to the success of AVEA. We have four key objectives as a representative Association. These are the key pillars of our strategy and the basis on which we have built our activities todate. The following is a snapshot of how we have worked to meet our objectives so far and will be continued and developed further in year two. Members have highlighted this as a key benefit of membership. The forums we provide for members to engage and share knowledge, advice and information has been hugely effective. • AVEA Annual Conference – 2018 was a terrific success in Croke Park with a full day packed with interesting speakers who shared great insights and food for thought. Our networking evening prior to the conference day in the Gravity bar in Guinness Storehouse was a very sociable affair attended by delegates, invited speakers, our AVEA partners and invited tourism industry guests. Our plans are already underway for the 2019 Conference that will take place over two days in October with even more international speakers. The Conference is free for AVEA members. • Meeting AVEA Partners and having access to them. AVEA is the sectoral representative Association and member of ITIC – The Irish Tourism Industry Confederation. ITIC is the umbrella group for the Tourism Industry, comprising all of the key sectoral representative associations. Our seat at this table now ensures that the voice of our sector is heard and included in the advocacy ITIC provides to Government. We are now key contributors to all aspects of ITIC’s work and AVEA were key contributors to the ITIC 2025 Strategy for Irish Tourism. • AVEA has been welcomed and keenly supported as a strategic Partner by Fáilte Ireland. Through the formal agreement we have established, we meet quarterly to share insights and explore opportunities to support the needs of Visitor Attractions and Experiences. • The governments Tourism Policy 2025 is being reviewed to devise key actions for its Phase II. AVEA is represented on the working group established to lead this review. • Our board and executive are invited to actively engage in industry working groups where strategy and policy are formulated. These include Fáilte Ireland destination brand working groups, Tourism Ireland central marketing partnership and Fáilte Ireland sustainable tourism employment group. • AVEA have developed a relationship with ALVA – Association of Leading Visitor Attractions in the UK and, through our members who have membership of international groups such as IAPPA, we create greater opportunity for the sharing of knowledge, insights and benchmarking at a global level. AVEA Membership Annual Survey 2017: AVEA will conduct this research annually and the output as can be seen in the info graphic enclosed and the full report on our website is invaluable to membership in terms of benchmarking and to the Association in advocating for the sector’s importance and value within the Tourism Industry. • Sharing the findings with ITIC, industry representative groups and Government departments to highlight the importance of the sector in Irish Tourism. 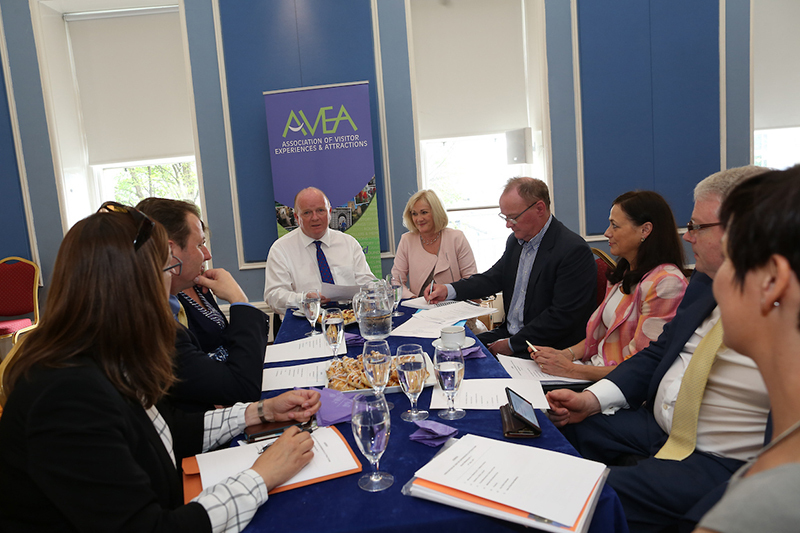 AVEA, through our partnership with Fáilte Ireland, communicates the areas of greatest need and support for the sector. Fáilte Ireland has developed an ongoing programme of supports that we ensure AVEA members are aware of and have access to. • Members networking provide learnings and sharing of know how amongst each other that would not be available so readily otherwise. Led by a board of nine committed Directors, chaired by Paul Carty, who give freely of their time. The board meet almost monthly to drive the Association activities and work programme. • Working groups have been formed by the board to drive key issues that have been highlighted and agreed by all members at our quarterly Forum meetings. • Online Forum has been created through LinkedIn (private AVEA group) to enable members to network with one another outside of formal meetings Our structure is enabled and funded through membership fees, Fáilte Ireland support and AVEA Partnership Programme. The AVEA board has invited companies who supply and work with the sector to partner with the Association. 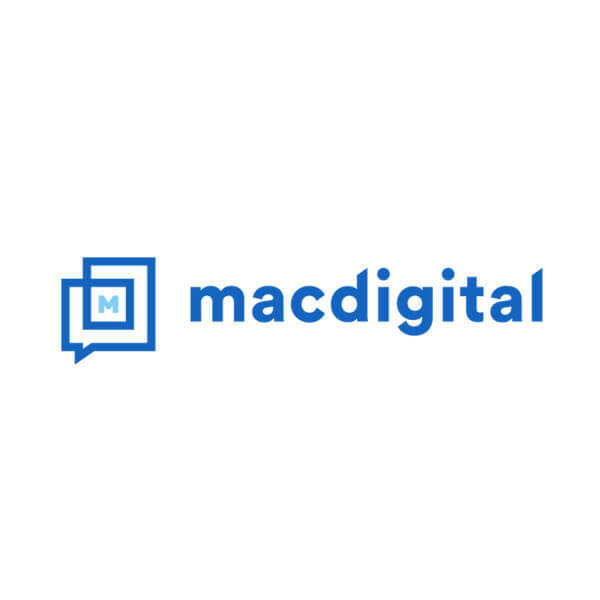 Their support is greatly valued and provides them and members with a platform to engage. We have nine strategic partners in 2018 and the AVEA board will continue to invite suitable further Partnerships in 2019. 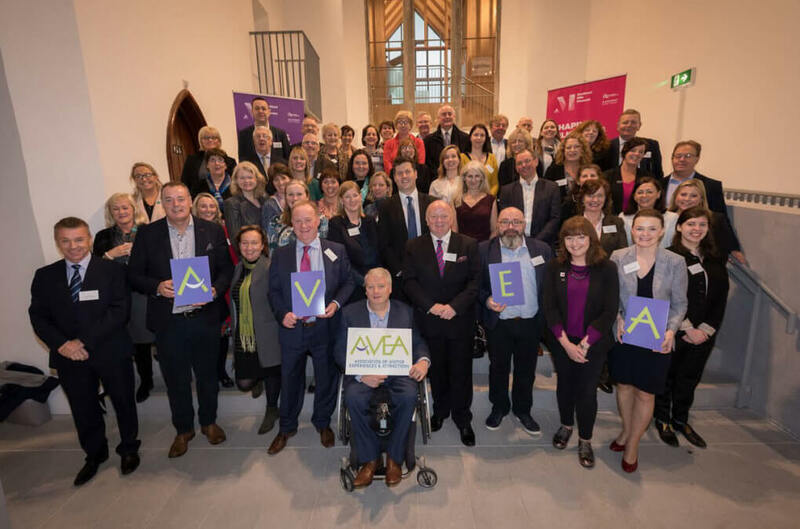 Membership of AVEA shall be open to any organisation operating as a Visitor Attraction or the provision of a Visitor Experience that entertains and engages visitors. There are two categories and a variety of different types of businesses that the board considers to be suited to AVEA membership. It’s simple - all you need to do is complete a Membership application form which is available by contacting us at info@avea.ie or calling our secretariat at + 353 (0)1 293 6807. You can also complete the membership enquiry form on our website AVEA.IE - Join us.